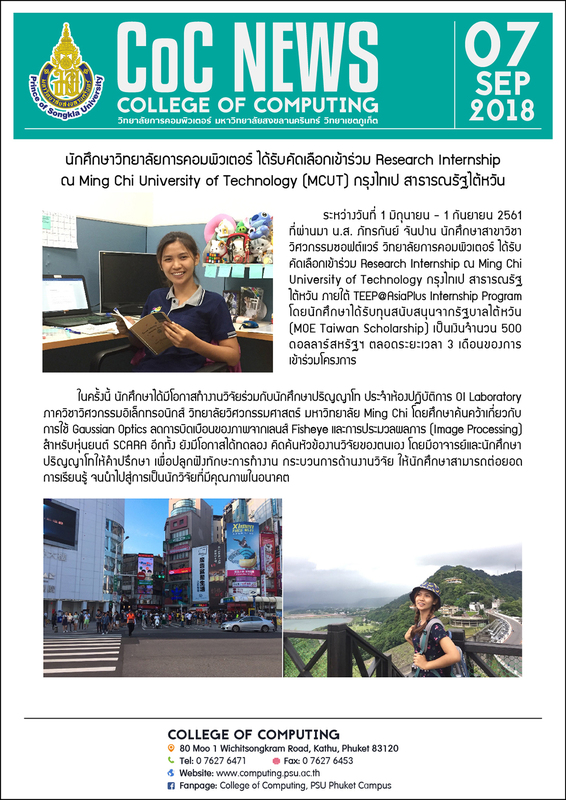 From 1st June to 1st September 2018, Ms. Pattragun Janpan, a student in the field of Software Engineering, College of Computing was representative to attend a research internship at Ming Chi University of Technology, Taipei City, Taiwan under TEEP@AsiaPlus Internship Program. In this regard, she was provided with USD $500 from MOE Taiwan as the monthly stipend during the period of the internship. 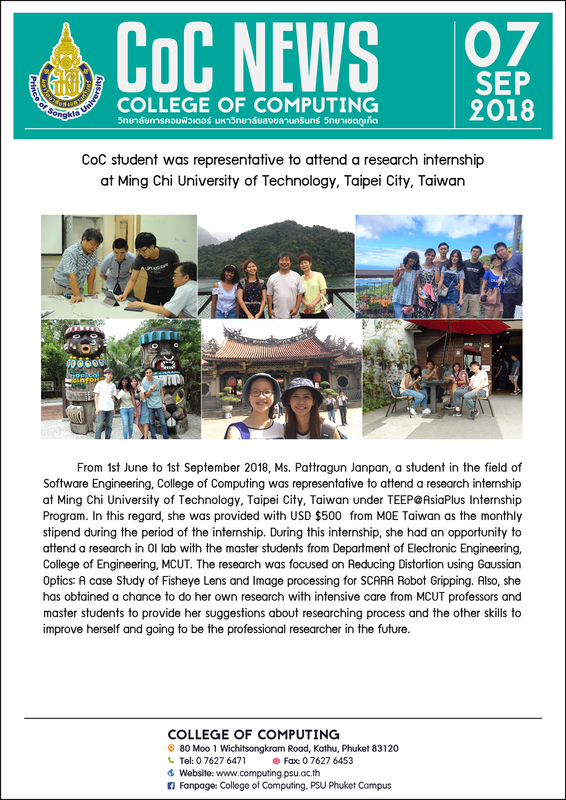 During this internship, she had an opportunity to attend a research in OI lab with the master students from Department of Electronic Engineering, College of Engineering, MCUT. The research was focused on Reducing Distortion using Gaussian Optics: A case Study of Fisheye Lens and Image processing for SCARA Robot Gripping. Also, she has obtained a chance to do her own research with intensive care from MCUT professors and master students to provide her suggestions about researching process and the other skills to improve herself and going to be the professional researcher in the future.